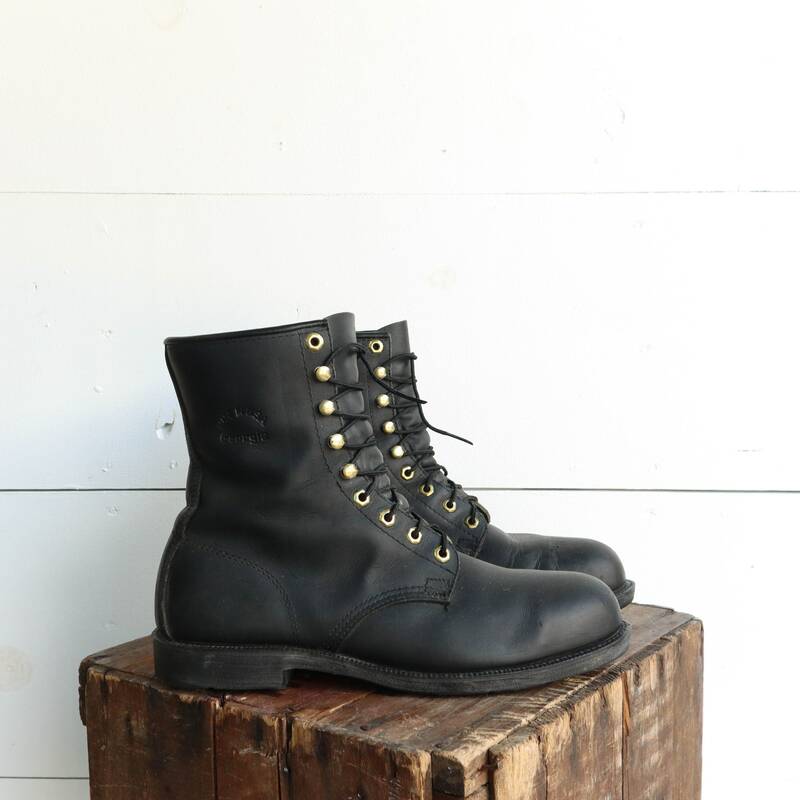 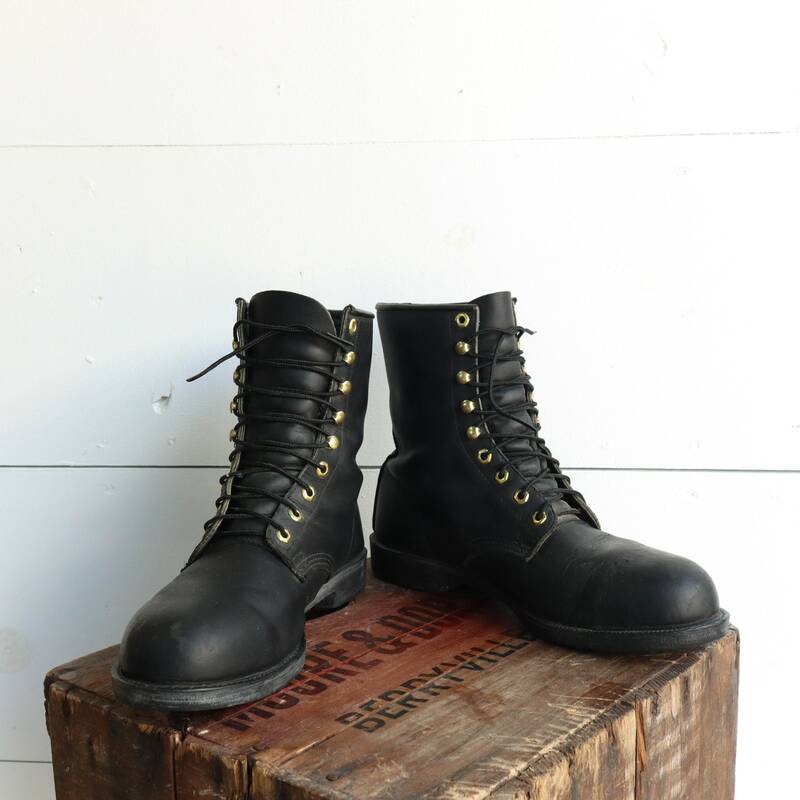 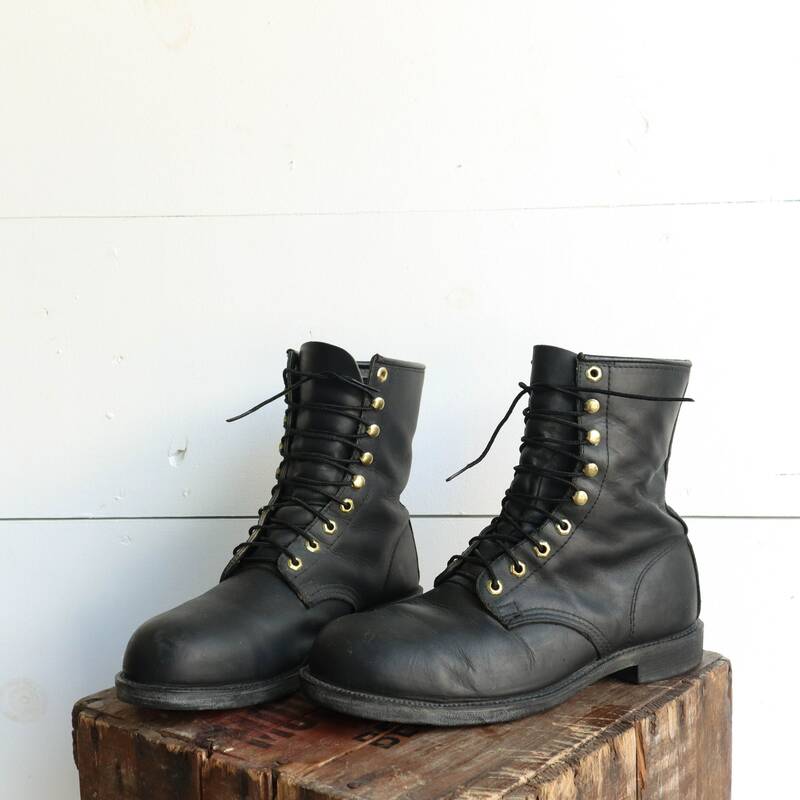 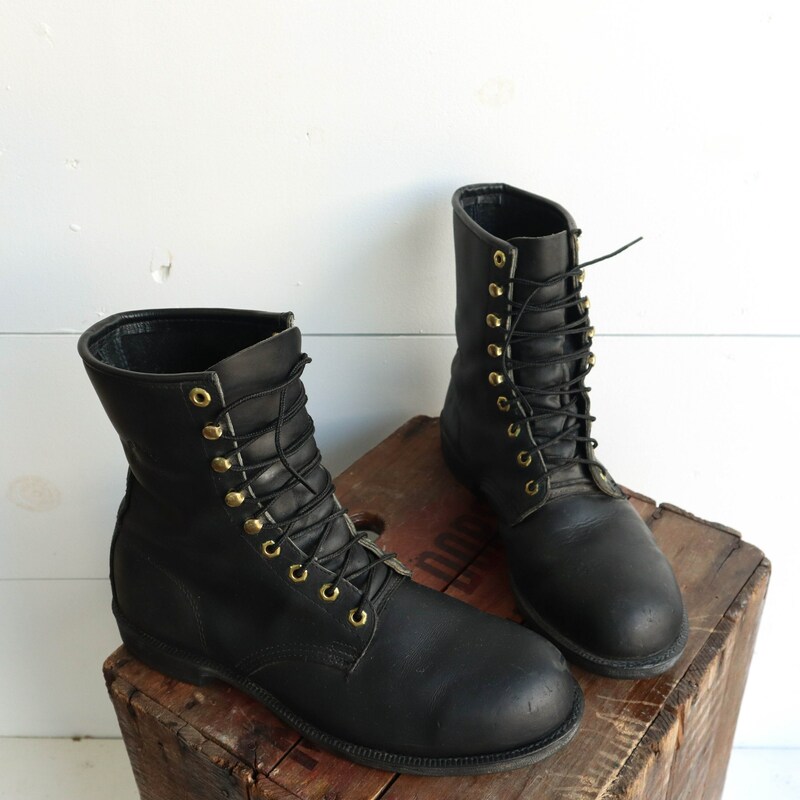 The Georgia round toe work boots have steel toes, thick black leather uppers, and man made soles. 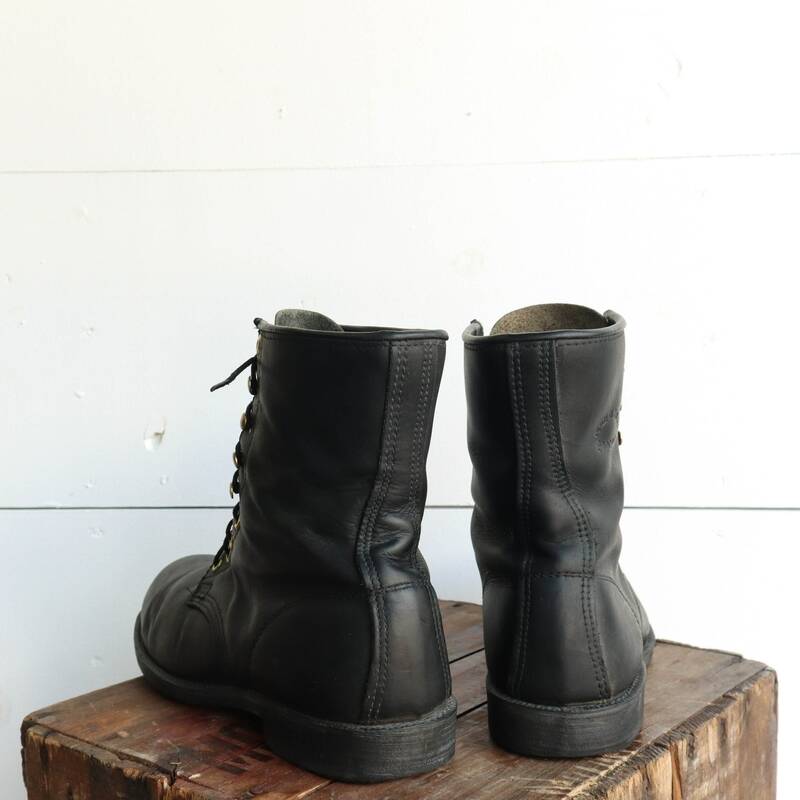 The boots are well broken in, still solid shape. 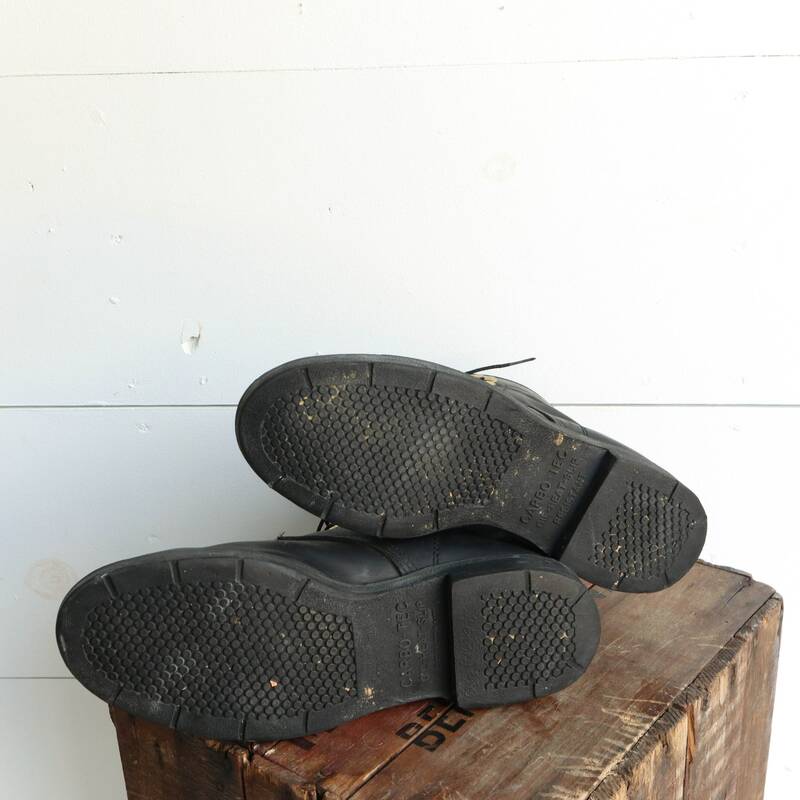 The insole insert is loose, shouldn’t affect much, but could also be glued down.